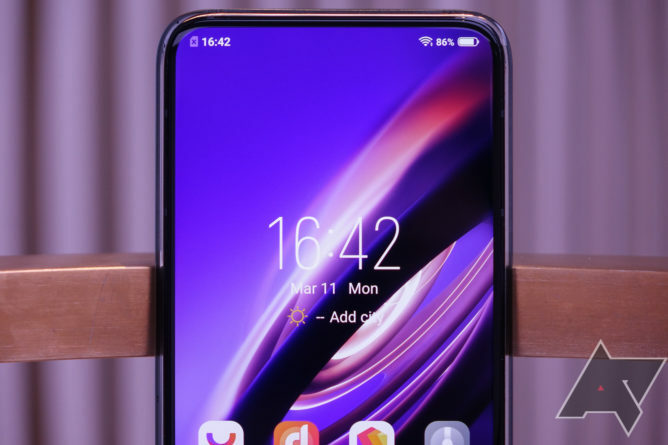 A phone with no charging port, no speaker grilles, and made completely of glass probably sounds a bit like satire from The Onion, but I can assure that’s exactly what Chinese smartphone maker Vivo showed us this week with its new - and fully functional - Apex 2019 concept phone. The Apex is covered entirely in glass: the back, sides, and front are all smoothly polished, giving the phone an oddly smooth and almost stone-like quality. Vivo had to come up with an entirely new way to process glass in order to create the variable thickness and curvature required for the shape of a smartphone, and there’s no doubt that the result is impressive - it looks like no other smartphone I’ve ever seen. At some angles, the Apex 2019 scarcely looks like a phone at all. It really is kind of alien. The fact that you can see through the glass corners is undeniably cool, and there really are no holes or buttons anywhere on this thing - not even a microphone inlet that I could spot until someone pointed it out to me (there’s a tiny gap in the display glass at the bottom of the phone). In a way, the idea here is pretty similar to what you see in the world of automotive concepts, where designers imagine what it would be like to have surfaces free of interruptions or seams, which can give products a futuristic - or even otherworldly - appearance. 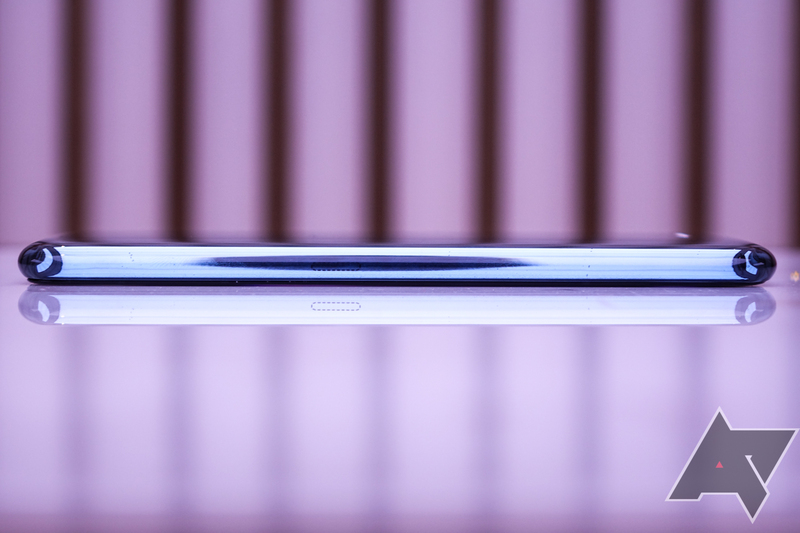 While I wouldn’t say the Apex looks like something straight out of 2030, it does achieve a level of simplicity in form and aesthetic that I think smartphone designers the world over long to achieve. From the front, it's a notchless, nearly full-screen phone (there is no front-facing camera). There are a few asterisks and drawbacks to such a design: there’s no charging “port,” per se, on the Apex, but a series of pogo pin contacts along the bottom of the phone connect to a proprietary mag-safe style charger (which, frankly, seems like a solution to a problem no one has). And while Vivo does call this a “super unibody” design, the display glass panel is of course separate from the one that wraps around the sides and back of the phone (how else would you do it, though?). 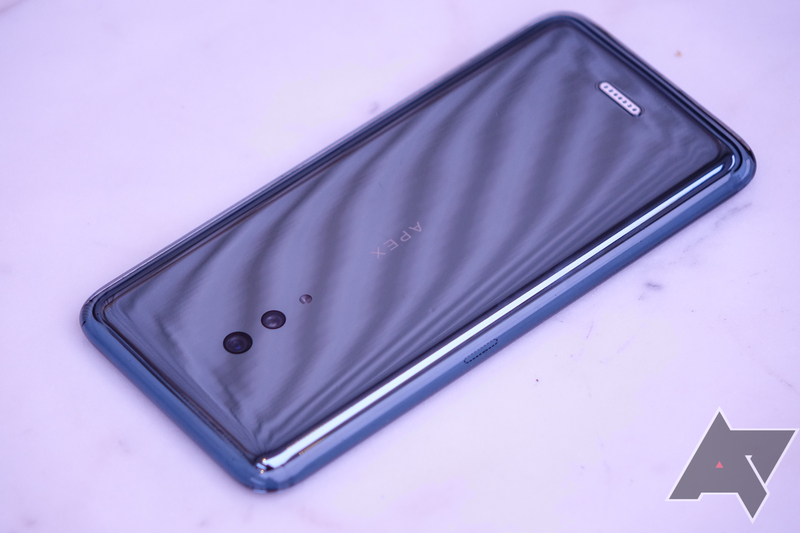 The force-sensitive area on the side of the phone for controlling the power and volume “keys” doesn’t seem much improved from HTC’s version of this idea, so that probably needs a rethink. 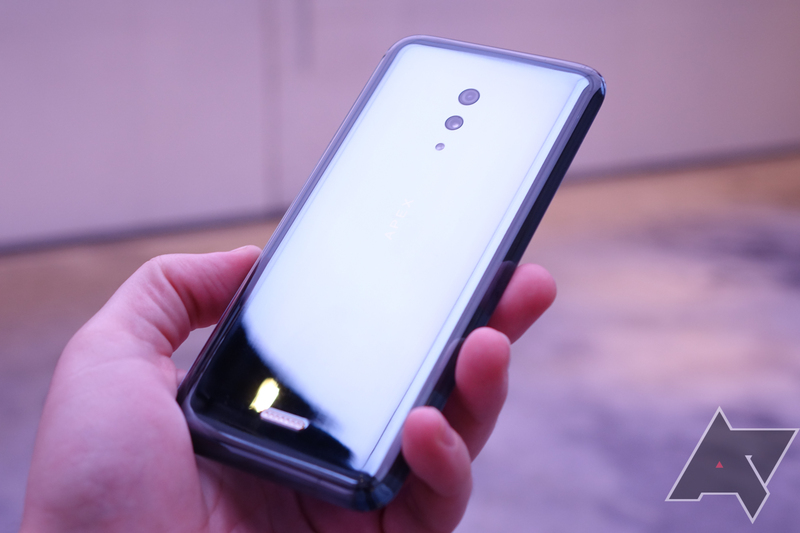 Because there is no speaker grille, the Apex vibrates the rear glass panel of the phone to act as a driver (similar to LG’s G8, which uses the screen to this end). It’s not all that loud, and it’s facing the wrong direction. This phone doesn't even have a front-facing camera, in order to preserve the "full screen" aesthetic. But hey, it’s a concept: this phone won’t be sold - it’s meant strictly as a technology showcase, not as the basis for an upcoming product. I used Vivo's full-screen fingerprint scanner, and it absolutely works. And while it features spec-boasting typical of high-end Chinese phones these days - it packs a Snapdragon 855, 12GB of RAM, and 512GB of storage - the standout feature is the in-screen fingerprint reader. The scanner covers effectively the entire display area, meaning no pesky aligning and positioning your thumb to get it to read. 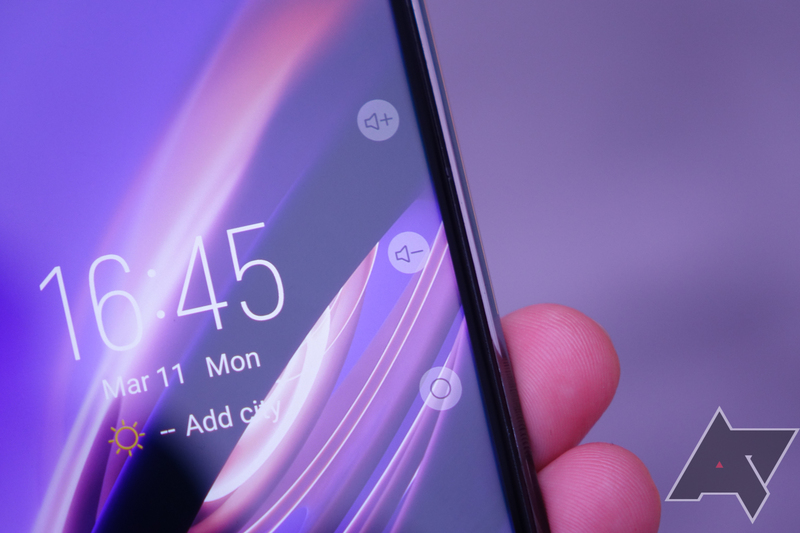 I used Vivo's full-screen fingerprint scanner, and it absolutely works (worth noting, though, that this is an optical, not ultrasonic, reader), and it even seems fairly quick. This is the future I think most people had in mind when it came to fingerprint scanners inside displays, and one that seems poised to come to a head with the major competing biometric standard: facial recognition. I asked Apex’s Product Manager Ding Guanli how the cost of such a full-screen scanner compares to the smaller modules we see on current smartphones, which work in a very specific area. He stated that the cost of the module is directly proportional to the amount of display area it covers, and that as such, the scanner in the Apex phone was significantly more expensive than other solutions. Considering just how much area it covers, I’d have to guess it’s much more expensive. 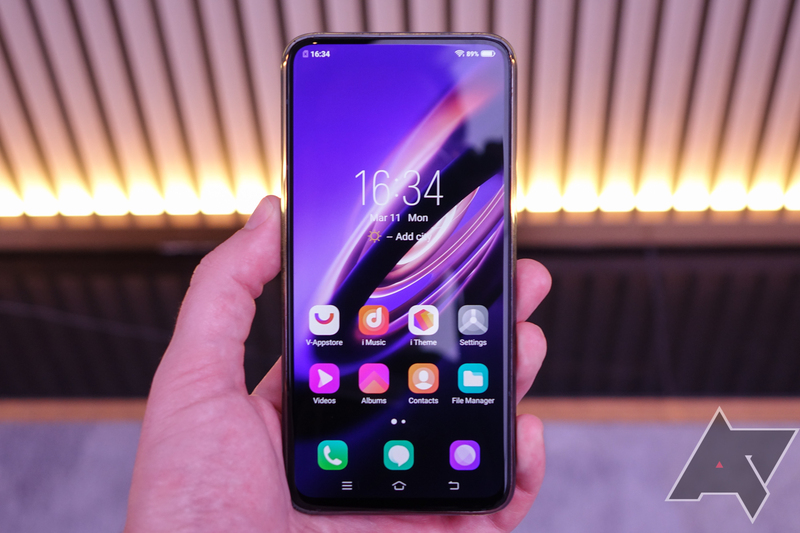 Vivo wouldn’t say if it was planning to release a commercial device with such a scanner setup, but the company doesn’t believe the cost to benefit ratio is currently good enough to do so. As an exploration, the Apex is no doubt interesting, though it does retread some ground - proprietary charging and pressure-sensitive “keys” - that I don’t really think anyone is interested in giving a second chance. But the all-glass design, even if it will lead to jokes about durability, is quite striking, and smartphones really could use a more adventurous approach to materials (I understand many people want less glass, not more, but hey, it’s certainly novel). And all other things about the Apex aside, I'm definitely game for a fingerprint scanner less picky than my Galaxy S10+’s.